She has learned many lessons over a lifetime of service. Some are practical: Chilblains are very painful. Others relate to careers: You must learn to market yourself. Still, others are more inspirational: Embrace opportunities and take risks. All of them play a part in what she calls the multicolored quilt of her life. 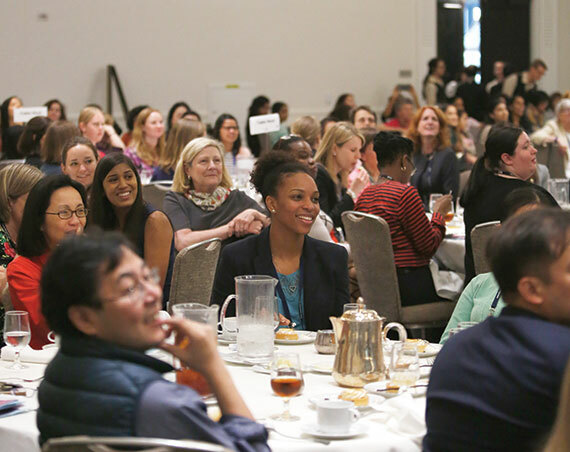 A. Sonia Buist, professor emerita of medicine at Oregon Health & Science University, was this year’s featured speaker at the ATS Women’s Forum, an annual event that recognizes the achievements and supports the advancements of women in pulmonary, critical care, and sleep medicine and research. There, she spoke fondly of her colorful life, recalling growing up in India and completing medical school in Scotland. But most of her focus was on the lessons she learned early in her career at OHSU. Dr. Buist said having mentors taught her the importance of mentorship. She said no matter who you are or what your age, you can always benefit from having a mentor. She provided attendees with her own ABCs of mentorship, including finding one who is available, builds you up, and creates opportunities for you. You should always embrace opportunities and take risks, Dr. Buist said. Dr. Buist said that over her lifetime, she has learned the delicate balance of work, family, and life. There are many barriers to an optimal quality of life, she said. Chief among these is time. But other barriers include the juggling of your professional and private life, traveling for work too much, financial burdens, being chronically tired with no energy, ill health, and geographic location. Finally, Dr. Buist said, she has learned that you have to network like crazy. Among her many achievements, Dr. Buist served as ATS president, started the ATS MECOR (Methods in Epidemiologic, Clinical, and Operations Research) program, and started the BOLD (Burden of Obstructive Lung Disease) Study to get good estimates of COPD prevalence. Also at the Women’s Forum, the 2018 Elizabeth A. Rich, MD Award was presented to V. Courtney Broaddus, MD, professor of medicine and associate director of the Lung Biology Center at the University of California San Francisco. Honoring the memory and work of Elizabeth Rich, MD, the award is given to a woman who has made significant achievements in the practice or science of pulmonary, critical care, or sleep medicine; demonstrated leadership in her field; and has shown dedicated mentorship of junior colleagues.